I love watching young children learn the alphabet. It can be such a magical experience. They are gaining the key to a magical word of meaning! You can make this experience magical for your kids, by getting them to move and “experience” the letters. Kids love to move around and explore their surroundings. 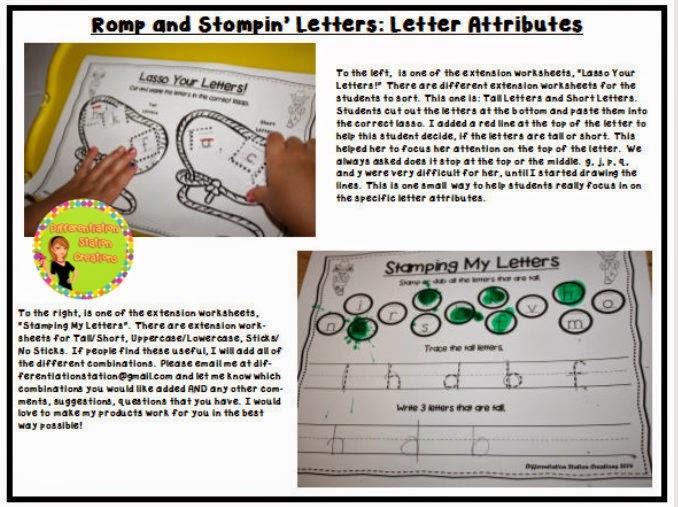 You can capitalize on this and have them explore letter attributes in the same way! I have always loved using hands and feet with kids to help them learn. I love hands, because they can slap high fives. I love feet, because they can really stomp on the letters and incorporate movement into their learning. 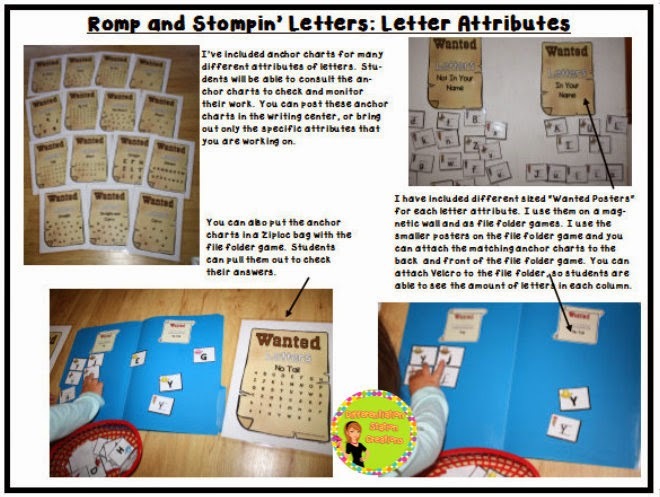 This is what I love about Romp and Stompin’ Letters. Kids can really interact with letters in a ton of different ways! Check out the quick and easy ideas below! 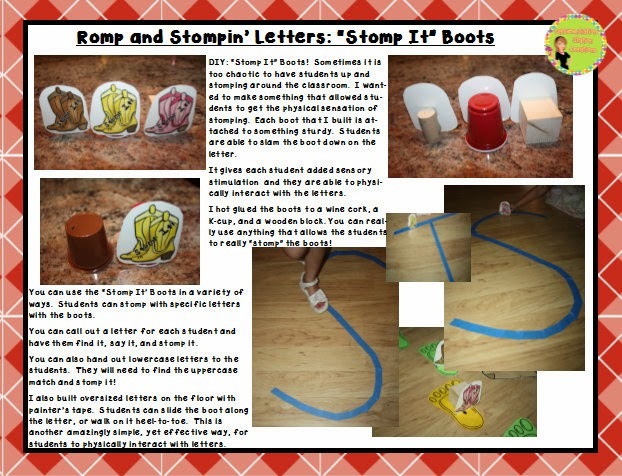 I created a set of “Stomp It” boots with clip art and blocks, K-cups, or wine corks. I hot glued them to the sturdy backing and the kids can really “stomp” with their hands. Here is DIY directions on how I made my “Stomp It” boots and how I use them with painter’s tape. Painter’s tape is a staple in my teaching. It easily adheres to the floor, wall, skin :), but just as easily peels right off. 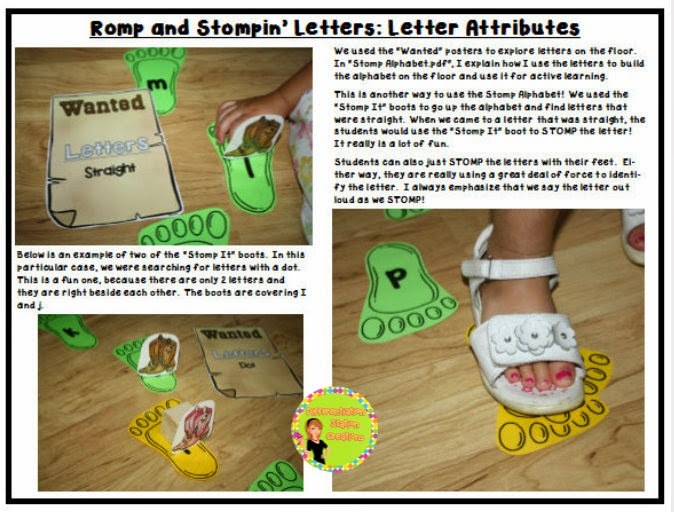 I make letters and numbers on the floor, so that students can trace them with their “Stomp It” boots, or walk the letters with their own feet. This is a great way for students to really experience the shape of each letter. You can also have students lay down on top of the letter to “make” the letter. This will force students to examine the attributes, such as curvy, straight, and dots. Students will decide how many kids they need to create the letter. For dots, one student can roll in a ball. This is hilarious and it really focuses students’ attention on the shapes of the letters. I created an “Alphabet of Feet” to use for a bunch of different activities. They are so versatile and so easy to use! I have used a variety of storage options, but in the end, my favorite is the alphabet pocket chart. It makes it very easy for students to sort letters and to clean up!!! One of my favorite activities is to leave missing letters between letters on the floor. I leave a piece of painter’s tape in the missing space. Students can fill in the missing letters by moving along the alphabet. It helps them to build a sense of the beginning, middle, and end of the alphabet. After filling in the missing letters, I always have them “STOMP” on the letter and say the letter’s name at the same time. 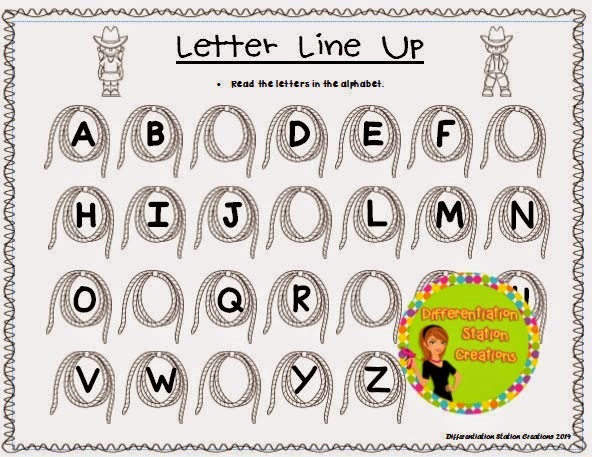 This activity goes perfectly with the “Letter Line Up” extension worksheets. You can get a free sample here. I set up my letters on the floor to match the letters on the worksheet. 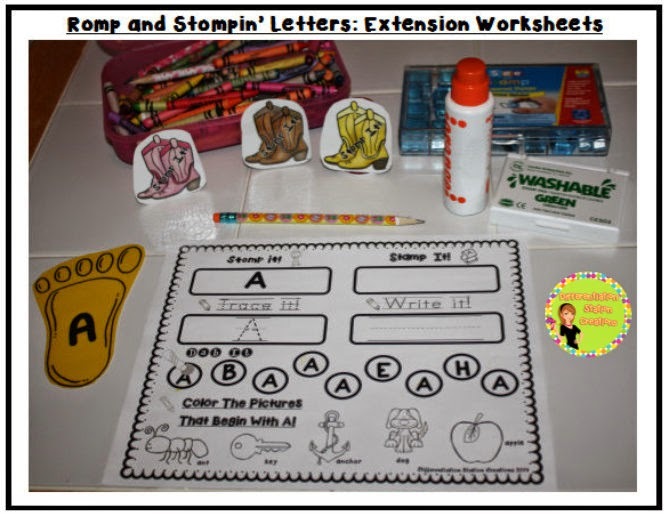 Students can do the activity moving around with the letters and then complete the extension worksheet. They can use the letters on the floor to check their answers. There are differentiated options to the “Letter Line Up” extension worksheets. Students can trace the missing letters (there are different amounts of letters missing), fill in missing letters (different amounts of letters missing), and a blank worksheet where students fill in all the letters. 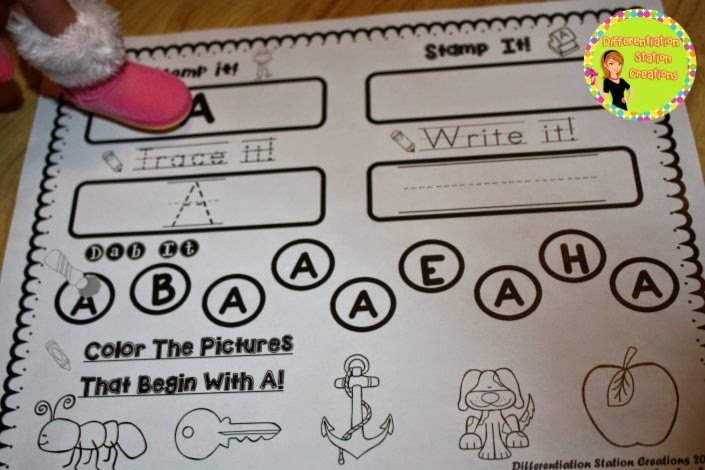 There are worksheets for both upper and lowercase letters. 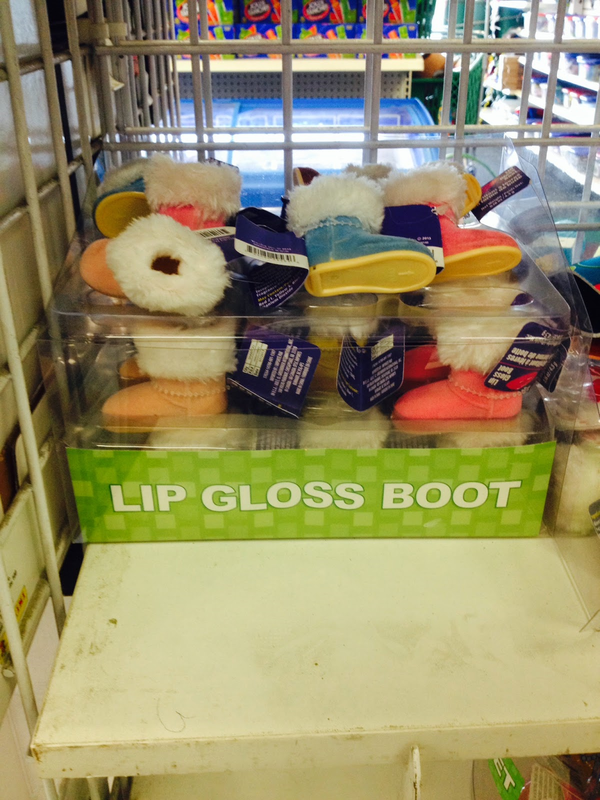 You can also use the boots (homemade “Stomp It” boots or lip gloss boots) to use on the extension worksheets. 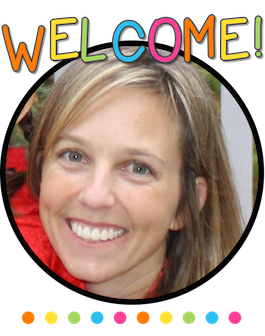 Students need to “Stomp It”﻿, “Stamp It”, “Trace It”, “Write It”, “Dab It’, and “Color It”. They are interacting with the letter in a variety of ways. 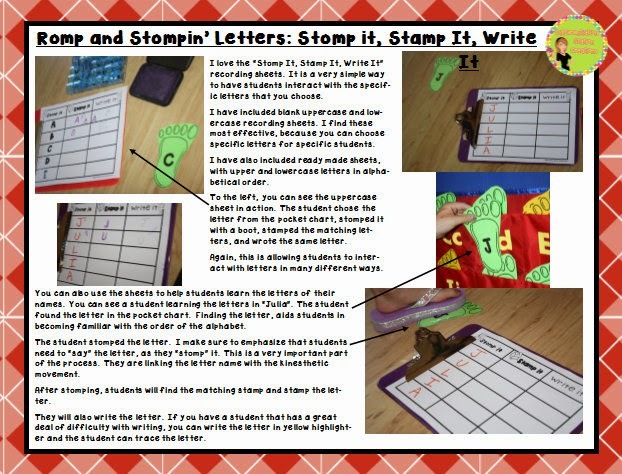 Here is the “Stomp It, Stamp It, Write It” in action. Students are interacting with the letters in so many ways! 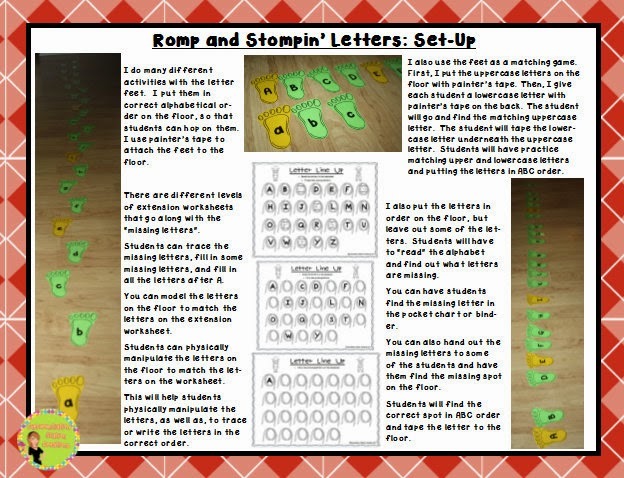 Here is an example of how I set up my Romp and Stompin’ Letter Center. It includes stamps, bingo dabbers, crayons, pencils, stamps and stamp pad. All of this is stored in a little bin with the letter extension worksheets. There is a lot you can do with the letter attributes portion of this pack. There are “Wanted” signs in color and B/W for each specific letter attribute. Students need to be cowboys and wrangle up those pesky letters! These can be used on a magnetic wall, cookie sheet, or turned into a file folder game. Here are all the “Wanted Anchor Charts” and “Wanted” Letter Attributes signs. It also demonstrates how the letters and signs can be turned into a file folder game. 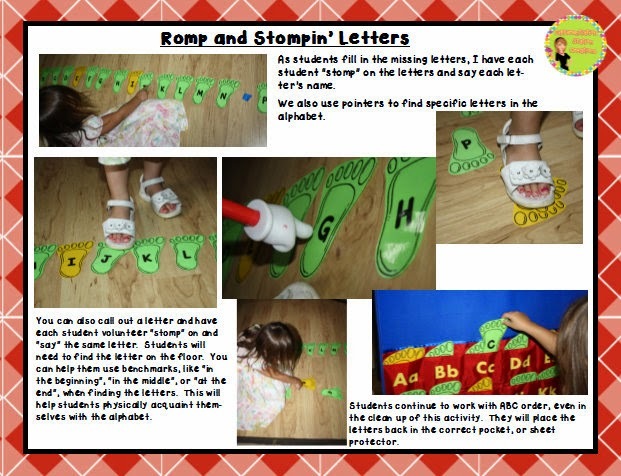 You can also use the letter attributes signs to use with the “Stomp Alphabet”. 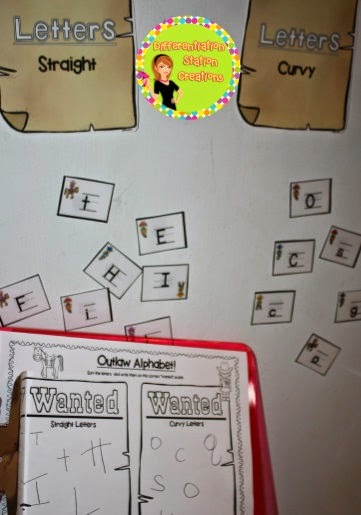 Students can search and move around the alphabet looking for letters with specific attributes. 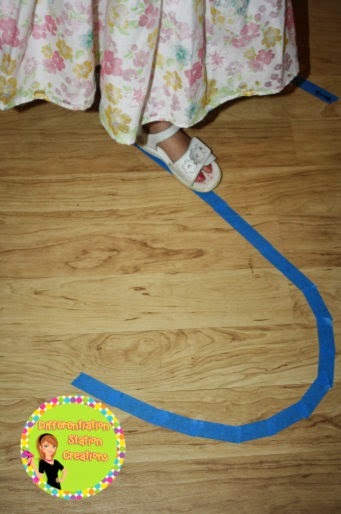 You can also use hula hoops, so students can pick up the letter feet and move them into the correct circle. Here is the “Outlaw Alphabet” recording sheet. Students will sort the letters and then record their letters on the recording extension sheet. 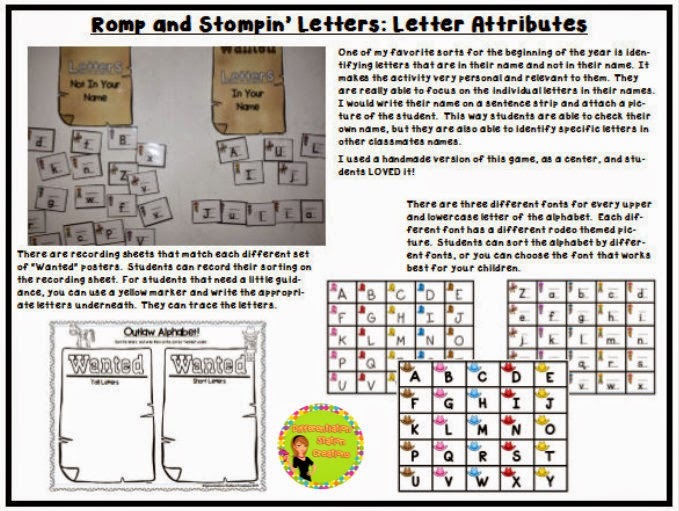 Here are two more of the letter attributes extension worksheets. Thanks so much for hanging with me! I am just so excited about this new unit, I had to share it with you! I hope that your students enjoy it as much as mine! 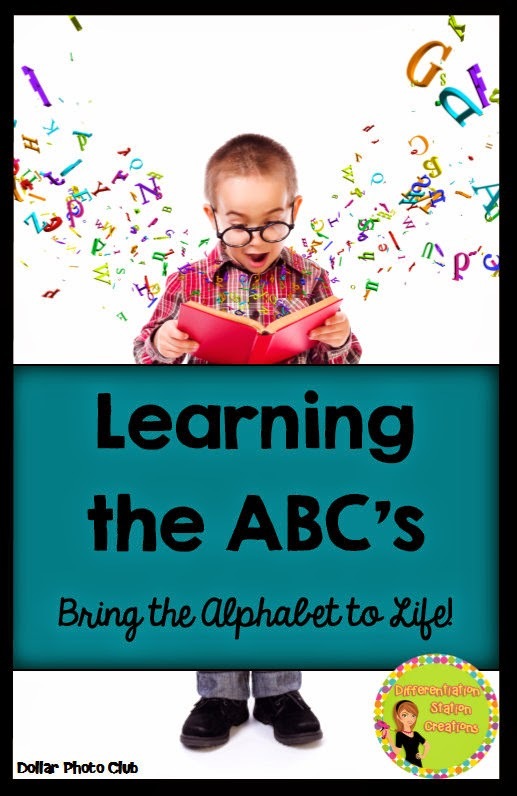 It is great for students who need some extra help learning their letters and focusing on specific attributes of each letter. Here is the fun part! 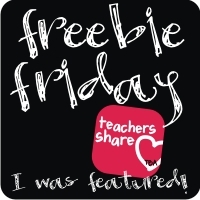 Leave me a comment on this blog post and let me know how you would use this in your classroom or home. Also, let me know something that your students have struggled with in the past. I want to try and develop more teaching activities that really benefit your kids! I will be looking at all the comments and hopefully choosing my next project. 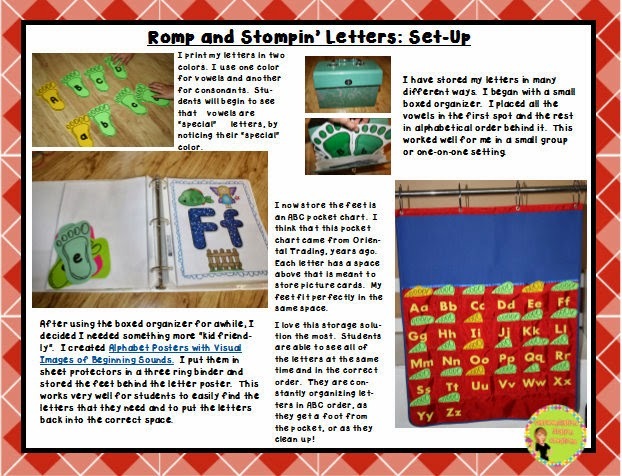 If your idea/concept is what I choose, I will send you “Romp and Stompin’ Letters for FREE!